Dear Banking aspirants Canara Bank, a leading Public Sector Bank with Head Office in Bengaluru and global occurrence with over 6300 branches, invites Online Appications, from the eligible candidates to apply for admissions to the specially designed One year training course leading to Post Graduate Diploma in Banking and Finance (PGDBF) either through Manipal Global Education Services Pvt Ltd., Bengaluru or NITTE Education International Pvt Ltd., Greater Noida, which are recognized by UGC. The total number of vacancies available for the Canara Bank PO – PGDBF (Manipal) is 800. Age limit : Minimum age required for the above mention post: 20 years, Maximum age required for PO Post-30 years as on 01/10/2018. Educational Qualification: A Degree (Graduation) with a minimum of 60% marks (55% for SC/ST/PWD) or equivalent grade, in any discipline from a University well known by the Government of India or any equivalent qualification recognized as such by the Central Government. •The course comprises of 9 months of classroom studies and 3 months internship at Canara Bank’s Branches / Offices. •This one year full-time PGDBF course will be conducted either at Manipal Global Education Services Pvt Ltd, Bengaluru campus or NITTE Education International Pvt Ltd. Mangaluru campus. The selection of the candidates will be done on the basis of Online Objective Test , Group Discussion and Interview. Online objective test will be conducted through Institute of Banking Personnel Selection (IBPS), Mumbai. Payment of Application Fee: - From 23rd October 2018 to 13th November 2018. Opening Date and Closing Date for online registration - From 23rd October 2018 to 13th November 2018. Last date for printing your Application- 28th November 2018. Date of online Test (Tentative)- 23rd December 2018. Application fee for SC/ ST/ PWD candidates-118 Intimation Charges only Includes GST@ 18%, Application fee for all other candidates- Rs. 708/- including GST @18% to be paid online. Eligible candidate can apply Online for the above post through Canal Bank official website from 23/01/2018 to 13/11/2018 only. 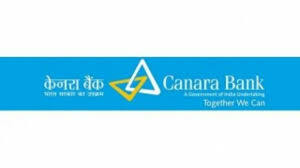 If Applicant want to know more about this recruitment kindly visit Canara Bank Official website https://canarabank.com/english/careers/recruitment/.